1. What is your particular relationship with poetry and painting? I am primarily a writer and couldn't live without expressing myself in words. Words are the most natural medium to me with art coming second. There is a special need and drive within me to write down how I see the world around me and how I feel in words. I have the illness ME. But ME doesn't have me - writing and painting do, but especially poetry, which wells up from an inner compulsion as lava from a volcano, so that I am driven to put pen to paper and always do, having notebooks all round the house, bits of paper with scrawly Italic scribbles over them. My bedside diary is the most important for I often wake up in the middle of the night feeling grim, experiencing vivid, lucid dreams and inspirations for poems. I view my writing as part of me, like children. I create poems; they issue forth after a certain length of time, are given life, then I have to let them go. I wrap them up carefully in a white envelope, caress them with an address, tuck them up with a friendly SAE and seal with a stamp, sending them away like floating paper boats on a stream. Then I wait for the miracle, the impossible, of a return floating back upstream with a 'yes' emblazoned on its sail. The last poem I have written is always the best. I have a sort of love affair with it, keep reading it, go back to look at it, then it is superseded by my next offering. I am very fickle, loving the last one best and forgetting former attachments. I'm sure I have a 'daemon' - not a demon, but a creative spirit, which holds a middle place between heaven and earth, shadowing me, conjuring up visions, colouring my mind with words and pictures, presiding over my destiny. As a poet and painter, I tend to use my paintings to illustrate my poems with the poems usually coming first. Ultimately I believe wordcraft (as well as paintcraft) is a spiritual gift from God and although I must have faith in my ability to use words in the best possible way, I am thankful for loving the use of words when trying to interpret and convey how I see, hear, smell, taste and feel the world around me, as well as the mystery of that which is unseen. 2. What do you think are the greatest advantages of both media (poetry and painting respectively)? Writing is an activity that requires a minimum of physical effort - you can do it anywhere, but it specially lends itself to bed, where I reside quite a lot of the time. I prop myself up with an architecture of pillows, until I disappear amongst large, white marshmallows, then I draw my feet up so that my legs form a natural support for my pad of paper. My pen seems to take on a life of its own - almost like automatic writing, where a person goes into a trance, pen flashing across the paper in a specific style of writing that does not belong to them. I type my work onto my computer, but I need the feeling of pen on paper first to make my writing breathe. Poems paint pictures with feelings in words. Its condensed, concentrated form intensifies experience and distills it. Its easily portable form means you can read a poem anywhere at any time. Words reach you in a different way to painted shapes. Words to the poet are what paint is to the painter. A painting is more labour intensive to create. Hopefully it will reach the viewer in the same way a poem will reach the reader. Perhaps illustrating poems could be seen as unnecessary, but it is interesting to have an interpretation of the words in paint and to have an interpretation of paint in words. Words and pictures, pictures and words - to me they go together. My work is deeply influenced by the natural world, which I often use as symbolism for the spiritual. My paintings are intertwined with my poems, which they illustrate. My exhibitions are entitled 'TALKING PAINT'. I have designed/produced three collections so far of my illustrated poems - *PROMISE*, *MANDALA* and recently *SECRETS*. For more information see Vivi*Press Poetry. 3. What incidents in your childhood influenced your writing? I have very vivid memories of my childhood and it feeds my writing in many ways. I can recall specific events and what I saw and how I felt. This was often intense and I think it flows into my writing. A child sees the world in a fresh, undiluted way. It is good for a writer (and an artist) to keep that childlike view of the world and be a careful observer of people and things around them. To see things in an original and unusual way is essential to creativity. I used to have a lovely teacher, Mr Dobbs, when I was seven, who did a lot of artwork, writing and nature work with us. He greatly enhanced my love of the natural world, which has stayed with me through the years. 4. How does where you live affect your work? I live inside a beautiful Country Park in Nottinghamshire overlooking two lakes surrounded by trees and wildlife. It is like a green oasis within the rush of the town. Usually it is quiet. I need quietness to think and be creative. As a lover of wildlife I am forever watching the birds and animals around me and I'm sure it invades my soul. 5. What are your specific projects for the future? I was to have an exhibition at Arnold Library in Nottingham during June this year, but I've had to step down and cancel it, because I had a bad M.E. relapse. I hope to have an exhibition of my paintings and illustrated poems this year. I am looking for suitable venues at the moment! I have self-published three collections of my poetry, *PROMISE*, *MANDALA* and recently *SECRETS*, illustrated with my paintings. I would like to try and get my poems published as a collection. Having had a few short stories and articles published, I would like to get more published. Currently I am studying at Nottingham University doing a part-time course in Creative Writing, which I am really enjoying. 6. How do you think climate change will influence or is influencing art/artists/writers worldwide? Christian Aid, in their recent report, believes one billion people in the world could be forced to leave their homes over the next fifty years as the effects of climate change worsen. More and more people are expected to be affected by water shortages, sea level rises, deteriorating pasture land, conflicts and famine. Leonardo Di Caprio produced and narrated the documentary 'The 11th Hour', which was unveiled at The Cannes Film Festival. It stresses that mankind must change and transform its approach to the environment if we are to avoid imminent catastrophe. Being creative is a way of solving problems and artists, writers, film makers and scientists together can use their gifts for the betterment, transformation and salvation of mankind. Question: Please tell us a little about yourself. Vivien: I am a former teacher/lecturer with a B. Ed (Hons) Degree in English Literature & Education (Subsidiary Subjects -Creative Writing & Art). I have written poetry since the early age of seven (I can still remember the poem I wrote then) & have loved poetry all my life. I live inside Colwick Country Park overlooking two lakes with my husband, Ian, & my cat, Misty. I am an ardent lover of wildlife, which overflows from the Park into our garden. I have M.E. (or CFS/Chronic Fatigue Syndrome) & frequently have very little physical energy, but try to use my writing & painting as creative ways of counteracting this negativity. Question: You are known as both a writer and a visual artist. Which do you consider yourself primarily to be, and which influences the other? Does your art influence your writing, or does your writing influence your art? Vivien: I am primarily a writer & could not live without expressing myself in words. Words are the most natural medium to me with art coming second. My writing definitely influences my artwork. Question: Your poem, 'Dreams of Peace' is a timely subject. Do you feel that politics has a role in poetry? Vivien: I think everything has a role in poetry. There isn't a subject that can?t be tackled within a poem. 'Dreams of Peace' was written very recently & was inspired by a dream I had of a bird flying in through our patio doors in our lounge & settling on my hand. The theme of peace is very close to my heart, both personally - I am always trying to find that balance, that peace in life - & in a world setting with the war in Iraq, the terrorist bombs in London last July, terrorism around the world & the constant reminder of the past with the Holocaust. Question: Is there any topic you won't tackle? Vivien: No, I can't think of one. Question: 'When I Was Young' is a captivating wistful look at childhood. How autobiographical is your work? Vivien: 'When I Was Young' is very autobiographical & a lot of my work is, but often I'll write a poem as though through the eyes of another. I try & be that person, so that what I write will ring true for the person I?m supposed to be. It would be interesting for someone to try & deduce which of the poems I've written are autobiographical & which aren't. Though having said that I think a writer will always put some of themself into a poem. Question: Who and what are your influences? Vivien: I think my first & most important influence was my father, who although didn't write himself, was a great lover of literature, was always reading poetry & novels & who read the best children?s literature to me from an early age. I especially remember him reading the Narnia series by C S Lewis, The Hobbit by J R R Tolkein, the Mary Poppins books by P L Travers, Five Children & It by E S Nesbitt, Wind in the Willows by Kenneth Graham, The Little Grey Men by ?B B? & The Children From One End Street books by Eve Garnett, to name but a few. He was a very sensitive & emotional man, qualities which I'm sure I have inherited. Being exposed to good literature when young is probably why I love words & my father was very encouraging about my creativity. When I was seven I had a lovely teacher at school called Mr Dobbs (who I am still in contact with), who was passionate about wildlife. We had lots of nature lessons & field trips, plus we did quite a lot of art & creative writing too. I was quite naughty at school. Mr Dobbs sat me on my own with a double desk all to myself. I loved having a whole double desk to myself without anyone irritating me!! I do like solitude & find it essential to on my own for a certain time each day to allow myself to be creative. For part of my English degree I studied Victorian poetry & I do love Keats, Shelley, Byron, (Christina) Rossetti, (Elizabeth Barratt) Browning & (Robert) Browning. I would say that era of poetry has influenced me more than any other. I do like more modern poets too, especially Sylvia Plath, D H Lawrence & Billy Collins. My favourite painters are the Pre-Raphaelites including Burne-Jones, Rossetti, Millais, Waterhouse, Holman Hunt & Hughes. I love their jewel-like colours & realistic depiction of magical & mythical subjects. I recently went to an exhibition with a friend at Nottingham Castle Museum & Art Gallery entitled 'Waking Dreams', which featured the art of the Pre-Raphaelites from the Delaware Art Museum, USA. It was a beautiful exhibition. Question: Your work has touched many people. What do you think it is about your work, besides the fact that it's just so good, that speaks to so many? Vivien: Thank you very much for your compliment, which means a lot to me coming from a poet I admire. My poems are written in simple, lyrical language in a simple style with genuine & direct emotions. But it's difficult for me to say exactly what it is about my poems that speak to people. Hopefully I'm tapping into ideas which touch the reader with a universal meaning; something which touches deep inside & resonates with experiences, so she/he can relate to it too. I do tackle a very wide range of themes for poems as well. Question: You have also worked as poetry editor for WAH. In your opinion, what makes for a good poem? Vivien: A good poem has its own rhythm & colour. When you've finished reading it you feel satisfied that it has finished, because all that needed to be expressed, has been. The right words have been used, the right structure & the emotions used to clothe that structure rings true. It is condensed, intense & speaks to the reader in a way prose can't. It is like a shorthand to the feeling part of a person, so they can experience what the poet has seen through her/his eyes, filtering it with her/his own slant on the world. Most of the poems I write come to me as a whole poem, which needs little or no alteration. I don?t know why this is. (Some writers say you must revise, revise & revise again.) It is as though I am taken over with the words & know what to start with & what words will end the poem. So perhaps the poet intuitively knows what is a good poem. Question: What advice would you give to a beginner poet and artist today? Vivien: I recently received an e-mail from a young lady of eighteen mostly bedbound with M.E., who said I was her inspiration, which was a lovely thing to say. She'd just read an article I'd written about M.E. & why I write on a website for M.E. sufferers. She asked me for my advice on becoming a poet. I said you must be absolutely passionate about writing poetry & to persevere, because you don't earn money being a poet. You must do it because you love it. Perseverance is essential - you will receive many rejections (like acid on an open wound). To be a poet you have to open yourself up & make yourself vulnerable. Rejection hurts. I'm sure I could wallpaper our house with all the rejection slips I've gathered & I still get them!! Rejection never gets any easier, but you can put it more in perspective as you get older. I would advise that you keep a notebook & pen in every room in your house & your bag, so that you can jot down phrases, words, titles, thoughts, images, sketches, which come to you during the day & which you are convinced you will remember -you won't - so write them down & keep a notebook by your bed, so you can write down important dreams too. I would advise you get a current copy of 'The Writers & Artists' Yearbook (A & C Black), which gives listings of poetry magazines & art outlets. Also look on the Internet for up-to-date listings of poetry magazines & The Poetry Kit is an invaluable source of information for the poet. Enter poetry competitions. They force you to write on a theme & this is good practice. Regarding art, I would say don't be a slave to current trends in art & find your own style & way of expressing yourself in paint. Perhaps join a local art class & go to Art Exhibitions either in person or via Art Galleries on the Internet. Above all persevere. I have been writing poetry since I was seven & getting it published since 1969, but it is only relatively recently that I am becoming a bit more well known. Vivien: I have designed/printed two collections of my poems & paintings entitled *Promise* & *Mandala*. My next plan is to design/print my third collection, which I am doing at the moment. Last year I was very unwell for most of it & hardly did any painting. I have about four pieces of artwork to finish, so I must get on with them!! I have a new programme to design your own websites & I've designed a new website called 'Talking Paint'. Last year I had to cancel two exhibitions of my artwork & illustrated poems, an Art & Craft Fair & readings of my poetry, because of ill health. I have a reading of my poems in late March this year in Nottingham & hope to do more this year. I do enjoy having an audience!! Question: Please tell us a little bit about yourself. Answer: I am a poet & painter, who lives in Nottingham, England. I am a former teacher/lecturer with a B. Ed. (Hons) Degree in English Literature & Education from Reading University (Subsidiary Subjects - Creative Writing & Art). I have written poetry since the early age of seven (I can still remember the poem I wrote then) & have loved poetry all my life. I live inside Colwick Country Park overlooking two lakes with my husband, Ian & up until 3rd March, my beautiful cat, Misty. I am an ardent lover of wildlife, which overflows from the Park into our garden. I have M.E. (or CFS/Chronic Fatigue Syndrome) & frequently have very little physical energy, but try to use my writing & painting as creative ways of counteracting this negativity. I love art, both looking at it & being involved in creating it. My favourite artists were the Pre-Raphaelites (a movement in Victorian England) & I am especially interested in Native American culture/history/costume/spiritual beliefs. Question: Why do you write poetry? Answer: I can't imagine NOT writing poetry. I am primarily a writer & could not live without expressing myself in words. Words are the most natural medium to me with art coming second. There is a special need & drive within me to write down how I see the world around me & how I feel in words. I have ME. But ME doesn't have me - writing and painting do, but especially poetry, which wells up from an inner compulsion as lava from a volcano, so that I am driven to put pen to paper and always do, having notebooks all round the house, bits of paper with scrawly Italic scribbles over them. I am a poet and painter & every precious particle of spare energy ME allows me goes towards that goal. Having to retire after twelve years of teaching & lecturing, writing now preserves my sanity, keeping the vital, creative centre of myself aflame, keeping me in touch and sensitive to the world around me, even when my muscles scream like a marathon runner's and I wobble like a baby taking its first steps. My brain will often refuse to find exactly the right word as all cerebral activity seems to be conducted through porridge. I'm sure I have a 'daemon' - not a demon, but a creative spirit, which holds a middle place between heaven and earth, shadowing me, conjuring up visions, colouring my mind with words and pictures, presiding over my destiny. Question: Which of your poems would you say is your signature piece. Please tell us a little bit about how that poem came to be. Tell us about the last poem you wrote. Answer: I think my signature piece would be 'When I Was Young' (posted on Magnapoets earlier with 'Meadow' artwork) - this is the poem I specially identify with. It came to be written when I was still quite young but rather unwell. I was reminiscing about what it was like to be young & healthy & spontaneously enjoying the natural world around me. There was a yearning to be back when I felt like this, but I have kept all the memories clear as glass in my mind. The last poem I wrote was a tanka, Red Geraniums. I wrote it specially to go with the painting of that name (previously posted on Magnapoets). It was inspired by the last lines of another poem I've written called Gulag, where a person, who was wrongfully imprisoned in the Russian prisons & camps system called the Gulags, was remembering freedom & home. A symbol of this was a pot of red geraniums on a sunny window sill with the lace curtain rising & falling in the soft breeze. It is estimated over 50 million people perished in the Soviet Gulags between 1930 & 1950. Question: Have you seen an evolvement in your poetic style over the years? Do you favour one form over another? Answer: It would really be for another person to say if my style has evolved over the years. I think it has, but I write in such a variety of styles depending on the theme/emotion of the poem. I love free verse & tend to keep away from rhyming poetry, though having said that, there are a few rhyming poems I have written & had published that people specially like. I sometimes write very structured verse, but most of my poems are in free verse. Question: What are your hopes and plans for the future? Answer: I have designed/printed two collections of my poems & paintings entitled *PROMISE* & *MANDALA* & have just designed/printed my third collection entitled *SECRETS*. Last year I was very unwell for most of it & hardly did any painting. I have about four pieces of artwork to finish, so I must get on with them!! I have a new programme to design your own websites & although I've designed three websites of my work (the main one is 'Talking Paint') this was to a format by my ISP. I would like to do a much more elaborate website showing my paintings & the poems that go with them. Last year I had to cancel two exhibitions of my artwork & illustrated poems, an Art & Craft Fair & several readings of my poetry, because of ill health. I gave a talk & readings of my poems in late March this year in Nottingham & hope to do more this year. I do enjoy having an audience!! And I hope to be getting a kitten in mid-July!! You never dream? Everyone dreams; you just remember in varying degrees. During 1982/1983 I kept a detailed Dream Diary, because my dreams had become even more vivid, as though trying to impart in their strange, arcane images what I needed to confront, change & explore. Images in dreams have their own life, colour, smell & rhythm. Like poetry they weave a picture in a concentrated, condensed way that may appear obtuse, but can touch us more deeply than lengthy prose. I can specially remember a dream I had at the beginning of 1982 when I was at a crossroads in my life. I dreamt there was a rectangular stone at a crossroads. Someone told me I would find it. It was associated with something special. There was a ring on the top. I pulled it up and saw into the muddy, murky depths. Mud, debris and waste material had to be brushed aside from the top. Under the mud was a clear, watery space with a package wrapped in corrugated cardboard. I knew under the outer wrapping that something very important was contained there. I discovered that crossroads were very significant places. In Roman times, when a building or town was planned, a priest-surveyor would draw a circle with a cross in the middle and a pit called a mundus was dug at this intersection. The builders would throw in offerings, then small pieces of local land, covering this with a 'stone soul'. On special days this was removed when it was said spirits of the dead rose from the pit. Later suicides were buried at crossroads with the hope they would find the underworld and not haunt this world, so crossroads were a link to the underworld, a symbol for the unconscious. I believe this dream was trying to tell me that I would have to delve deep into my unconscious life; to clear away all the rubbish/debris blocking my ability to reach that which was fruitful, valuable and important. I am sure all creative people in the arts tap deeply into their centre, their unconscious, their dreams. Another dream that stands out during that year was one I had of a tree in summer. The room turns into a garden. It is late summer - very warm and sunny and I sit under the shade of an apple tree, which is full of fruit. Birds and insects fly in and out of its leaves; animals shelter in its branches. Time passes and night falls behind the tree with the moon now shining through the branches. There, leafed with knowledge, is the tree! Virgin, belonging to no man. to rain down, allowing growth. Behind the crescent archway shines. scars of healing carved within my soul. The Tree of Life is often portrayed as masculine, but one of the oldest poems (5000 years old), a hymn to the goddess at Eridu (once a town in southern Sumaria), describes the tree as feminine. Its foliage is the couch of Zikum, the primeval mother. Who passes across the sky. The Moon Mother is the virgin mother Zikum once known as Ishtar - the Babylonian goddess Mother of All. Mother Mary, full of grace, is called Mother Mary Moon of the Church in the Catholic religion in Italy. When we have a dream, we are transported into another world, transformed into something else. When reading good poetry we are transported to another plane and affected by the words, which cause a kind of excavation of the unknown resulting in a transformation. Images in dreams, or day dreams can appear suddenly and, at times, however carefully we investigate and delve into the dream, a meaning can remain elusive. The poet is often seen as the guardian of the archetypes of her/his culture's collective unconscious. Jung thought that dreams were compensations for the conscious attitude. Psychology is the only science that takes the value of feelings into account, because it links physical events and life together. If aware of dreams, their symbols & images the inner message can be accelerated, if the dreamer is willing to interpret them and confront what the dream is trying to say. You may be able to observe a slow process of spiritual and psychic growth, if you pay attention to your dreams and Jung called this the process of individuation. At moments of crisis in life when all seems dark and hopeless (just read or watch The Lord of the Rings to take note of this) there is only one thing that seems to work - turn and face the approaching darkness to try and find out what its aim is and what it wants from you. By focusing attention on the unconscious life often a flow of helpful, symbolic images breaks through. This is also mirrored when all seems light and happy. If we listen to the music of our dreams we are rewarded with creative gifts. We often know at our centre what we should do, where we should go in life, but this inner voice can be drowned out, because of distractions and a fear of facing and scrutinising ourselves too deeply. Dreams and their images can help us to find our way through the problems of our inner and outer life. Stepping into the inner realm of poetry and dreams can also be an exciting adventure. * Man and His Symbols - conceived & edited by Carl G Jung (and after his death M and L von Franz and Co-ordinating Editor, John Freeman [Aldus Books Ltd 1964]). I was looked after by Mrs Makings, whom I adored, from the age of eighteen months onwards, when my mother had to return to teaching. She was the only old lady I have known, who really did have peachy cheeks, soft and velvety to touch. She was chosen by my mother after interviewing eight applicants. Long after I went to school she was still baby-sitting for my older sister, Alison and me, when my parents went out occasionally in the evening. She cared for me when I was ill, if my mother could not take time off work. Mrs Makings lived in a tiny, terraced house (my second home) at the bottom of a steep hill, Hungerhill Road, opposite the Wreck. She always had a black and white dog called Rex. I was fascinated by her home: short, black railings set in a low stone wall outside a black, painted door. Once opened you fell into the front room, rarely used. A large, glass cabinet housed pieces of glass and crockery, a well-worn sofa dwarfing the dimensions of the room, which led through to the parlour. This was my favourite room, dominated by a black, leaded range. A book-sized door at its side clicked open to reveal a hot, scroll-handled iron, ever ready to use. The lower oven often housed a rice pudding, its toffee-coloured skin gleaming in the flames from the grate. A copper kettle sat on a trivet in the hearth and hung over the fire from a hook, being handled at all times with an oven glove. In front of the fire lay a pegged rug and at the side sat a dark, wooden rocking chair. On a sideboard with a lace runner, a box of a television fizzed with black and white episodes of 'Rag, Tag and Bobtail', 'Andy Pandy', 'Bill and Ben' and 'The Wooden Tops'. A brown sewing machine rested in the corner. It was worked by a treadle entwined with a beautiful filigree of wrought iron. When using the machine, Mrs Makings let me work the treadmill by lifting the ball of my foot up and down, heel resting on the floor. The scullery was split off from the parlour by a deep step down. There was a long, flat, beige sink with a shallow rim round it and only one tap for cold water. The minute window about the sink was covered by a net curtain; it was always dusk in there. The back door dropped down four steps into a grey brick yard, a shared toilet hiding behind a green-painted door with a creaky latch. Whenever I visited, Mrs Makings cooked the same meal, (which I loved); sausages fried mahogany-brown and crispy in the pan with fluffy mashed potatoes and onion gravy, plus a thick, gloopy rice pudding with a skin like tan leather , speckles of nutmeg freckling the surface. I felt safe cuddled up to Mrs Makings, asking her questions such as, "What happens when we die? Why do some dogs have their tails cut off?" And "Where did you live when you were little?" All were answered in detail in a leisurely manner, while I scrummaged in her shopping bag, finding treasures of Spangles, Polo mints, false teeth wrapped in checked handkerchiefs and half-empty packets of Park Drive. The wooden stairs to the bedroom and attic rose at the side of the range, twisting like barley sugar up to the first and second landings. I climbed them, copying Mrs Makings, whose thick, wrinkled stockings wavered before me, by holding on to the stair two or three up from the one I was on. It gave me the impression they were rickety, feeling dangerous and unsafe like rides at the fair. When I was fourteen, Mrs Makings decided to give up her terraced house, going to live with her real son, (she adopted and fostered other children), in Basildon, Essex, though I remember my father advising her not to. Sadly, it did not work out. She came back to Nottingham to live in a retirement home called The Beeches, where I used to visit her. She loved to see me, but wished she had taken my father?s advice and stayed in her own home. Two years later, I took my friend, Peter, to meet her. Her cheeks were still peachy-soft and her aura of kindliness embraced us both. I remember her telling Peter to look after me. Then she gave me a pair of pinking shears from her days of dress making, still new and silvery in their yellow box, which I still have. I kissed her cheek goodbye. I never saw her again. Colette Baron-Reid's article on 'Humanity and the Butterfly' really resonated with me. In July 1980 I went on a Yoga and Meditation holiday. During the week there I had a dream whereby I was a chrysalis encased in darkness. There was a light glowing and shining in the distance, which travelled nearer and nearer. 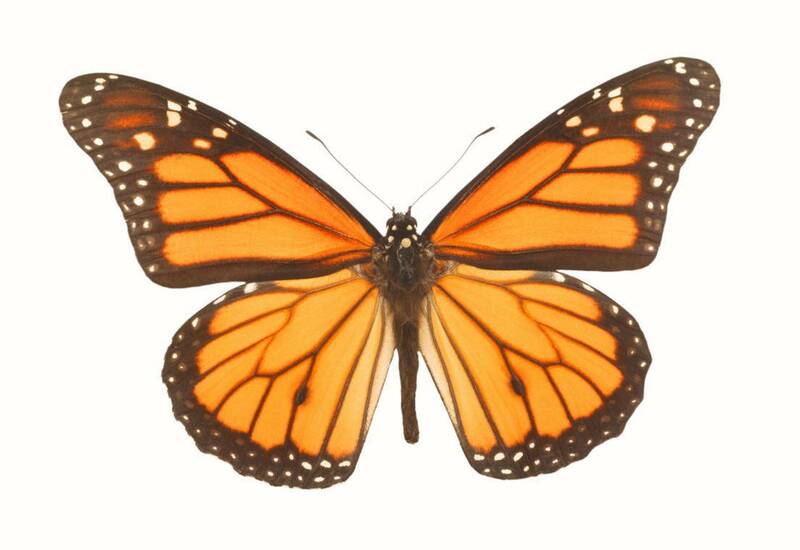 Slowly I emerged from my case as a butterfly with wings slowly unfurling. The light became brighter changing into cerulean blue. My wings began to move and I flew up into the sky. The butterfly wings changed into bone and feather and I was a bluebird soaring across sapphire heavens. The bird became a star-baby looking down on the gently spinning world. The images formed an eternal circle of life, rebirth and transformation. I went on to write the poem 'Unity' and to paint the vivid images of chrysalis, butterfly, bluebird and star-baby. * My interview with Phibby Venable is in the November 2010 edition of Quill and Parchment.